Raven Cliff Falls is a three-tiered waterfall that appears to slash through a massive granite outcrop. People from all over come to stand in the presence of the waterfall anomaly. The unusual geographic formation has made Raven Cliff Falls one of Georgia’s most popular outdoor attractions. 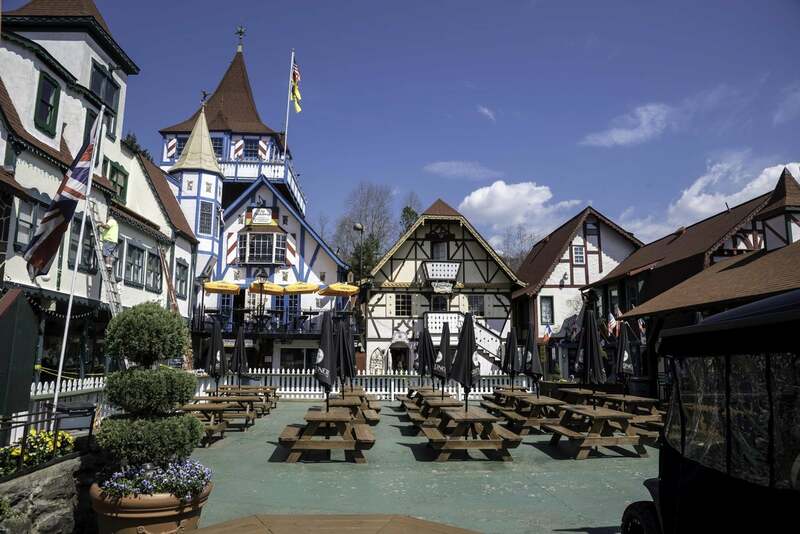 It’s also conveniently located near the Bavarian town of Helen, Georgia, where you can sample German beer and fare before or after your Raven Cliff Falls camping trip. These North Georgia cascades are located in the Raven Cliffs Wilderness of the Chattahoochee-Oconee National Forest. Despite convenient proximity to a bustling Bavarian town, the falls are only accessible by way of trail hiking, and the pristine path that leads you through the forest offers a sense of stunning seclusion. Raven Cliff Falls rushes into Dodds Creek where campers can stay overnight and marvel at the mountain stream from Raven Cliff Falls Campground. 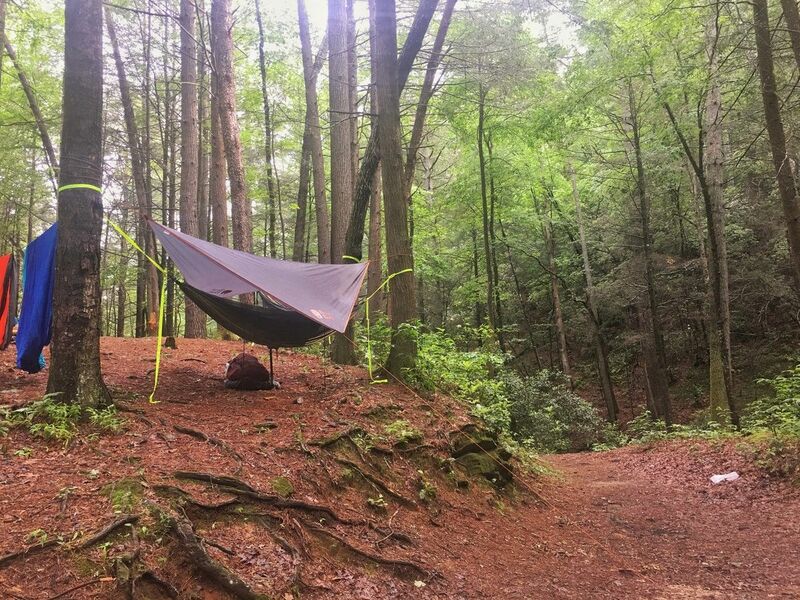 The Dyrt Ranger Katie H. hangs her hammock tent at a primitive campsite in Raven Cliff Falls. Find yourself surrounded by the mossy mountainside and lulled to sleep by the sound of Dodd Creek. 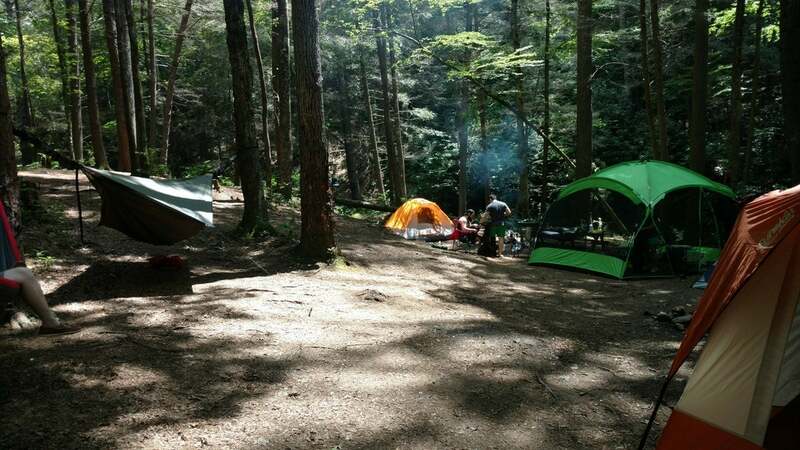 Camping at Raven Cliff Falls is an opportunity to take your time and relax amongst the wilds of Georgia. 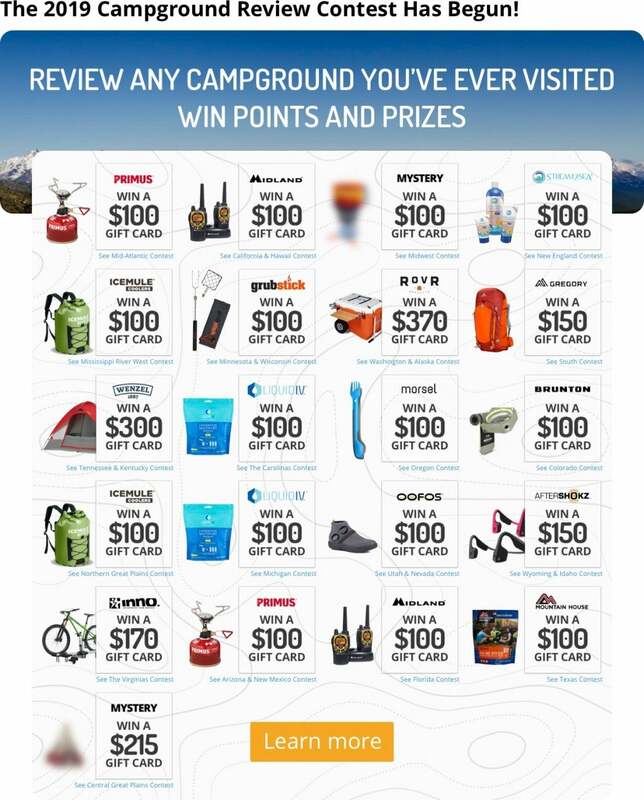 It’s free to enter the camping and trail area, there are no permits required, and it’s open year-round, excluding cases of extreme weather. 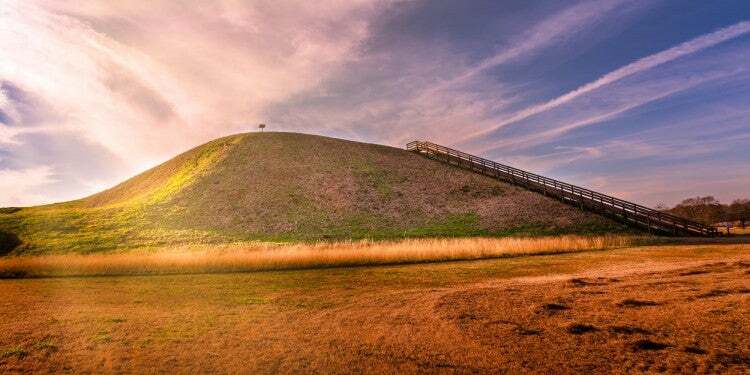 However, this is one of Georgia’s most popular natural landmarks, and sites are first come, first served. There’s a base camp at the entrance to Raven Cliff Falls that’s a good option for anyone who doesn’t mind some crowds, but these sites fill up quickly. Bathrooms and water are on site, but there are no showers. 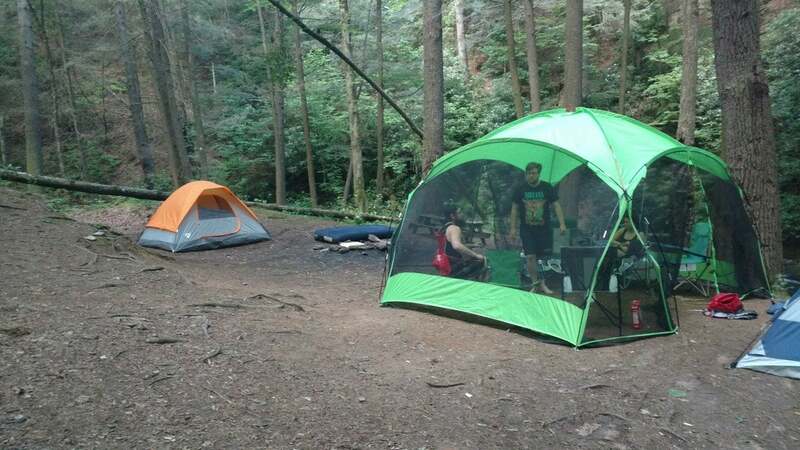 The Dyrt Ranger John W. sets up tents at Raven Cliff Falls. We turned to The Dyrt campers to find out why Raven Cliff Falls should be on your camping list. The curious Bavarian town in North Georgia. 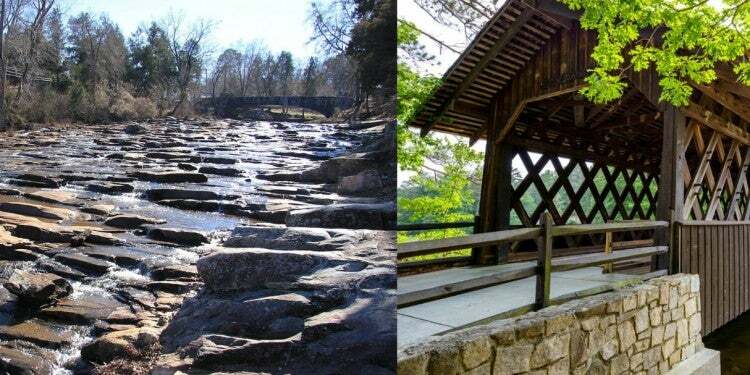 While the falls, forest, and wildlife around Raven Cliff Falls can feel secluded, you’re just a ten-minute drive from Helen, one of Georgia’s top three tourist towns. Helen, Georgia will make you feel like you’re surrounded by the Alps in Germany instead of the Appalachians in Georgia. The town incorporates Bavarian style food, culture, and architecture. Helen is also one of the best spots to experience Chattahoochee River tubing. “Raven Cliff Falls is another popular spot in Northeast Georgia. 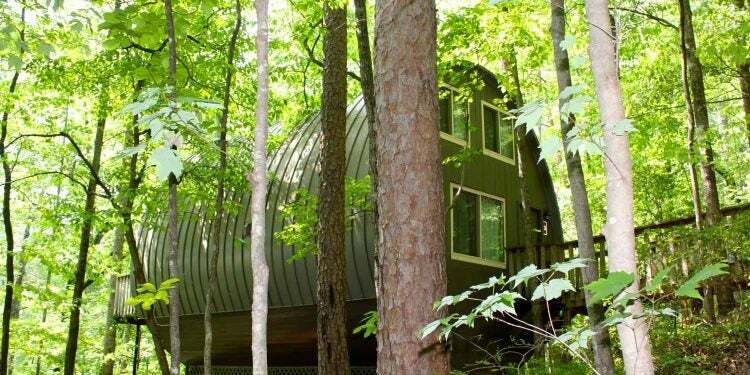 It’s on one of the most scenic highways and is in a great location if you want to venture into Helen, Brasstown Bald, or Hiawassee. 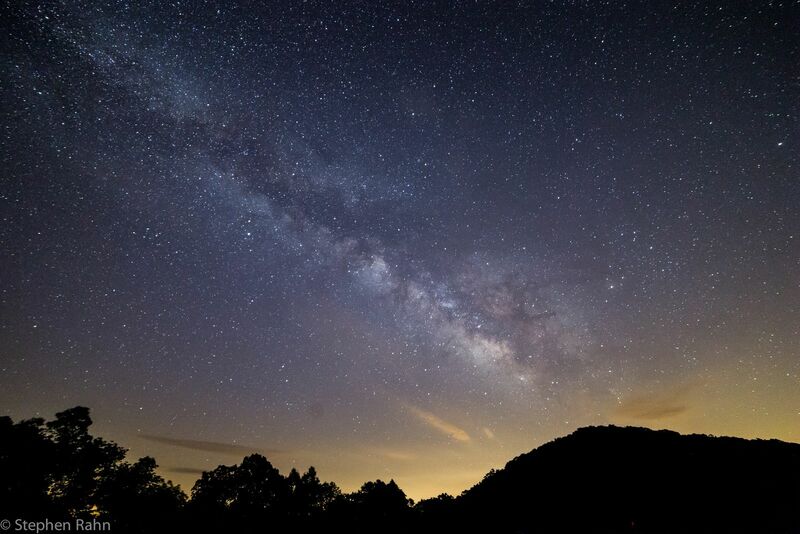 Most visitors come for a day hike to the falls but there are a ton of secluded backwoods camping spots tucked off the forestry road that connects you to the trail.” –The Dyrt Ranger John W.
Stephen Rahn photographs the Milky Way from Brasstown Bald, the highest point in Georgia. Part of the greatness of Raven Cliffs Falls is that the trails and campsites are never too far from your vehicle. It’s easy to spend half a day among the falls and still have time to venture out into the other spectacular landforms of North Georgia. Brasstown Bald is a distinguishing feature of North Georgia and it’s definitely worth a trip. At 4,784 feet, Brasstown Bald is Georgia’s highest mountain. Look out over 360 degrees of vista from the highest point in the sky, the observation tower, or explore Summit Trail at Brasstown Bald Recreation Area and Visitors Center. Forested mountain streams at Raven Cliff Falls trails and primitive camping sites. Image from The Dyrt Ranger Joshua G.
Raven Cliff Falls Trail is accessible to hikers of any skill-level. It’s 2.5 miles one way, but you might forget how far you’ve gone because the shady hardwoods, moss-lined paths, and wildflower-edged trails make the trek so enjoyable. Dodd Creek will be your trailside companion as you make your way upstream to the waterfall, and there are wood bridges that cross over tributaries. 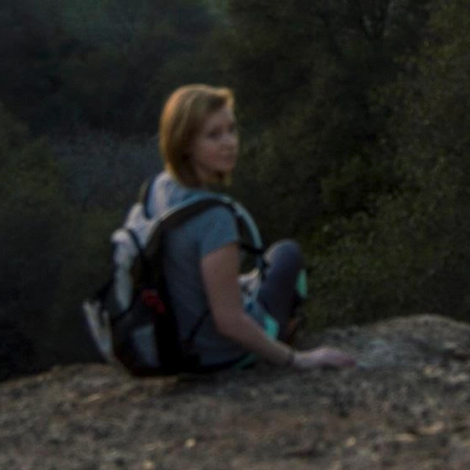 Despite the easy hike to Raven Cliffs Falls, make sure to stay on the path and tread carefully. The path can be slippery and injuries and fatalities have happened in the past. Raven Cliff Falls cascades in unique fashion through a granite outcrop. 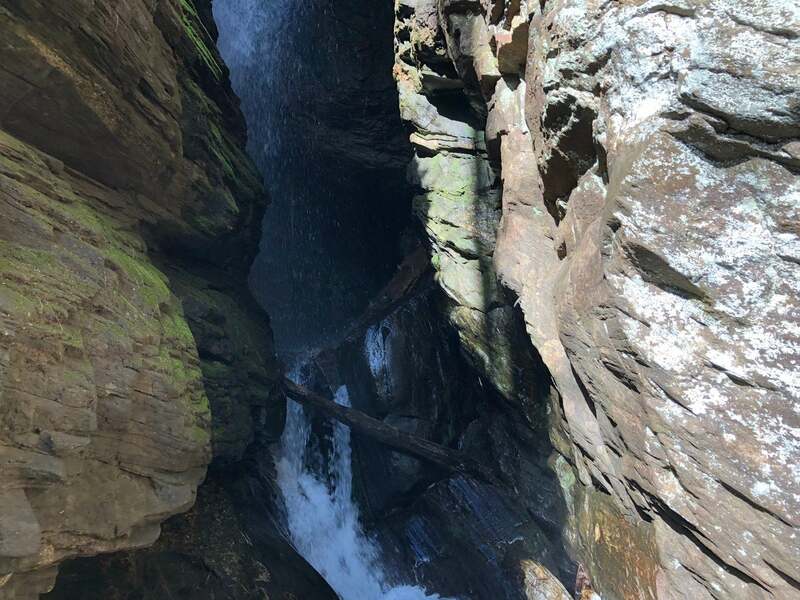 Image from The Dyrt Ranger Joshua G.
Everyone loves waterfalls, but Raven Cliff Falls is truly unique. There are a couple reasons why it’s one of the most visited cascades in all of Georgia. 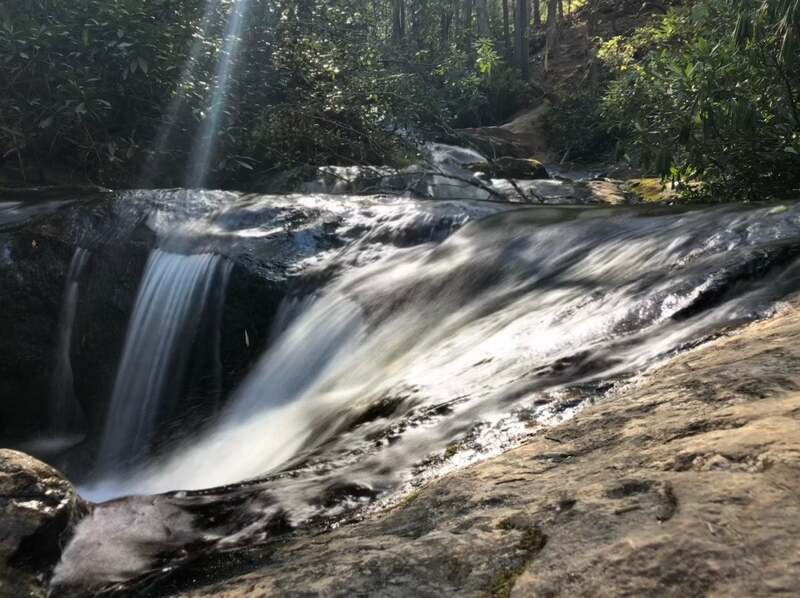 First, Raven Falls has three drop points, a 60-foot, a 20-foot into a waterfall pool, and another 20-foot that flows into Dodd Creek. Second, since Raven Cliff Falls hurtles down a granite outcrop fissure, it forms a double-streamed waterfall. Around spring is the best time to see Raven Cliff Falls in its fullest, most glorious force. But the falls are known for staying fairly strong year-round. The Dyrt Ranger John W. sets up camp at Raven Cliff Falls. It’s little wonder why Raven Cliff Falls has become one of Georgia’s most popular outdoor ventures. 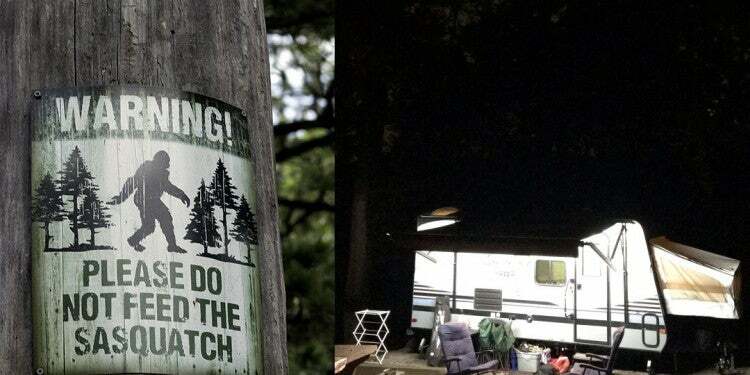 It’s the best of both the primitive camper’s and the glamper’s worlds. For the glamper, Raven Cliff Falls base camp is only a short walk from the falls, forest, and flowers. It’s also a short drive away from town where you can enjoy an authentic German meal at Bodensee and explore mini-Bavaria. For the primitive camper, you can escape the bustle of the town by finding a site deeper along the trail to the falls. Skip the first few campsites close to the base camp entrance so you can have more seclusion, and fall asleep to the sound of Dodd Creek’s rushing waters. 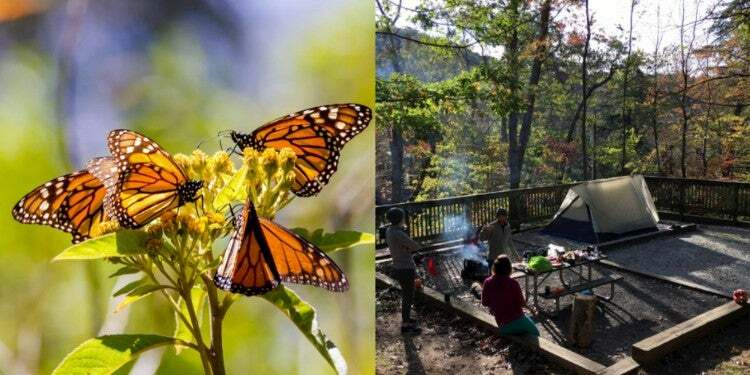 Keep in mind that sites are first come, first served and primitive camping is only permitted at designated sites. “It feels like a very primitive spot with the ease of car camping. You have the choice to walk in further but it accommodates all campers. Be careful of the bears and always leave no trace.” —The Dyrt camper Katie H.
Raven Cliff Falls cascades powerfully in North Georgia. Image from The Dyrt Ranger Joshua G.
Raven Cliff Falls is located in Raven Cliffs Wilderness Area, which is an essential part of Georgia’s landscape character. The region was designated and preserved as a wilderness area by Congress in 1986. The rugged mountain outcroppings, wildflowers, forests, and mountain streams have thrived in their natural state with minimal human impact. Raven Cliff Falls is home to black bears, squirrels, deers, ruffed grouse, turkeys, and raccoons. Campers should be aware that it’s common to see all these animals despite the high rate of human foot traffic. The shade of the Raven Cliff Falls area is provided by hardwoods and pines. The valley is alive with thick rhododendron, mountain laurel, jack-in-the-pulpit, and geraniums. 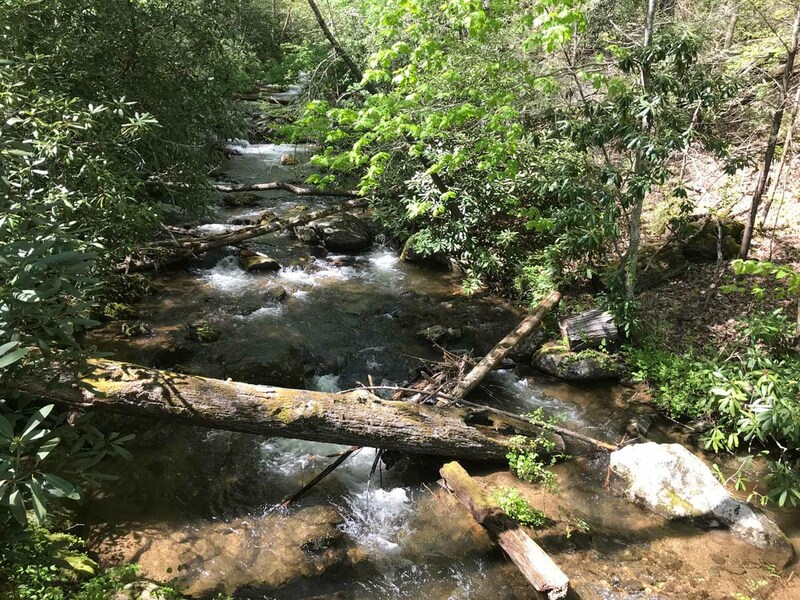 In this gorgeous Georgia Wilderness Area, leave no trace is imperative to protect yourself and the animal life, and to leave the flora unspoiled. One cascade of the three-tier Raven Cliff Falls. 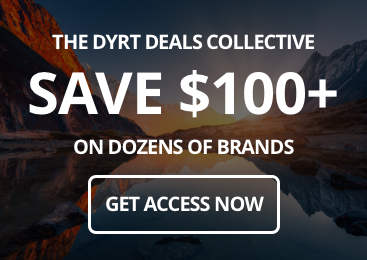 Image from The Dyrt Ranger Katie H.